Chase Bank partners with New Pisgah! Chase Bank partners with New Pisgah on Housing Project. Recently the New Pisgah Community Service Organization signed an agreement with Chase Bank to rehab and sell foreclosed houses in the Auburn Gresham Southside area. The plan calls for Chase Bank to donate some homes and others will be purchased by New Pisgah at reduced cost. After rehab, New Pisgah will sell the homes to moderate to low income families at a discounted rate by passing on the savings on the acquisition cost that were discounted and or waived by Chase Bank. We at New Pisgah Community Service Organization plan to acquire 30 homes over the next three years. We will either sell them outright or offer the residents a program to lease the homes with an option to buy within a three year period. In addition New Pisgah Community Service Organization plans to secure grants and other buyer’s incentives for our purchasers to minimize the final sales price and the future mortgage payments. New Pisgah Missionary Baptist Church is proud to announce that we have been asked by the State to build a home for the veterans in need. 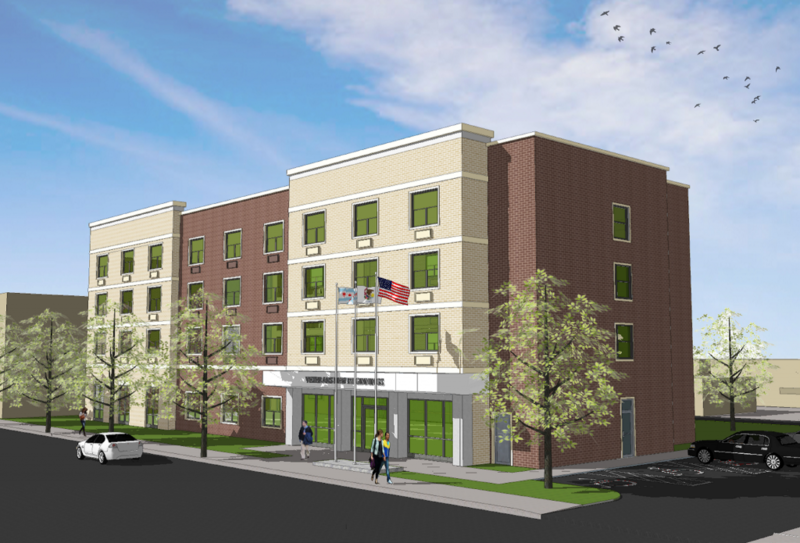 The “Veterans New Beginnings” will be 54 units of supportive housing for homeless veterans. The building will be located at 8132-8148 S. Racine Avenue Chicago, IL in the Auburn Gresham neighborhood. This building will be built directly south of New Pisgah M.B. Church, further extending the Church’s commitment to the community As you know, there is a growing need for housing for homeless veterans returning from Iraq and Afghanistan, and this project aims to meet a small portion of this great need.